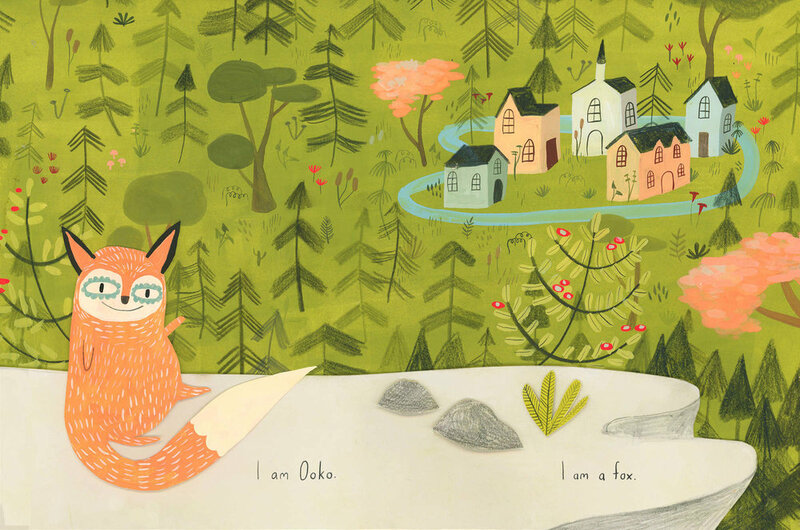 Ooko has everything a fox could want: a stick, a leaf and a rock. Well, almosteverything . . . Ooko wants someone to play with too! The foxes in town always seem to be playing with their two-legged friends, the Debbies. Maybe if he tries to look like the other foxes, one of the Debbies will play with him too. But when Ooko finally finds his very own Debbie, things don’t turn out quite as he had expected! OOKO was written and illustrated by Esmé Shapiro and edited by Tara Walker. It was published by Tundra Books of Penguin Random House in July 2016. Interested in buying limited edition art prints from ooko? Click here.